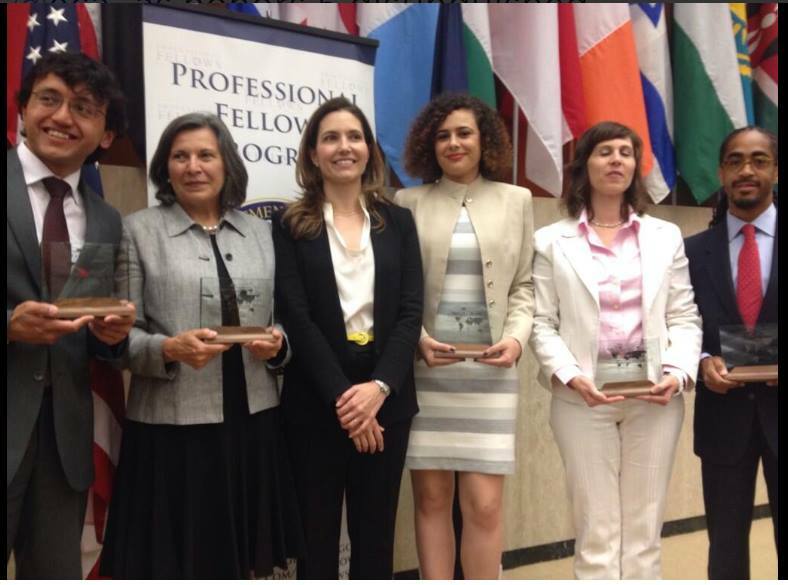 Nadia Rabbaa, Moroccan journalist and activist, is the recent recipient of the State Department’s Alumni Impact Award. Rabbaa, center, receiving the State Department award in June 2014. Back home, she used this insight to develop a training program—“Social Media for Democracy”– for female members of Morocco’s Parliament on how to maximize their interactions and relationships with their constituents using social media. “By giving [women] the power of social media, I hope to give them a chance to gain more voters,” she explained. Rabbaa is currently based in Paris and working on and seeking funding to extend the program.